Teignmouth weather station is located 500m inland on the east side of the town. The site consists of a wireless Davis Vantage Pro 2 automatic weather station installed in May 2008 in a sheltered suburban back garden. Periodic upgrades to the site have included the addition of automated grass and soil thermometers, a soilmoisture probe, uv sensor and leaf wetness probe. I also manually observe snow depth and rainfall from a standard 5 inch rain gauge as this offers a more accurate measure of precipitation for long-term climate statistics. Live weather data is uploaded to this website every 10 minutes and graphs showing conditions over the past day, week, month, 3 months and year are also provided. I've also a summary of the local climate along with local weather forecasts and links to 70other weather stations in Devon. Here's a couple of graphs showing monthly rainfall and temperature statistics for 2017 and 2018 alongside the 1981-2010 long-term climate values. If you click on the series names you can toggle the layers on and off. Similarly if you run your mouse over the image you can reveal the actual values for each data point. I'll add more climate statistics at a later date. Rainfall was measured using a standard manual gauge read at 09hrs GMT (the month starts at 09hrs GMT on the 1st of each month) and temperatures also read at 09hrs GMT (month starts at 09hrs GMT on the 1st for max temps and 09hrs on previous day for min). 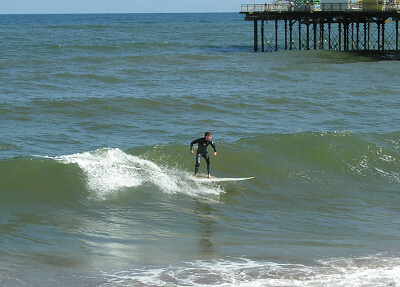 From the 1st May and throughout the summer the Environment Agency test the bathing water quality every 7-10 days. 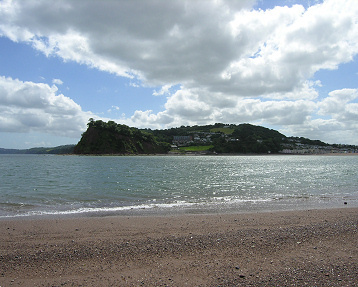 It's measured locally on Teignmouth town beach, Shaldon beach, Ness beach and other local beaches in Holcombe and Dawlish. Other environmental data is collected locally & details of these will be added soon.